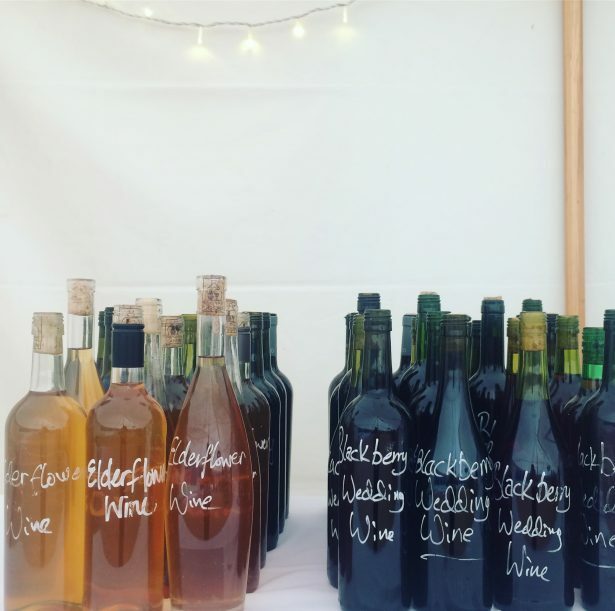 “Matt and Gemma were friendly, open to ideas, full on enthusiasm from the very start when we met them at a wedding fair. They showcased excellent food, 5-star service and we’re happy to say that this level of skill and detail was kept up all along the way. 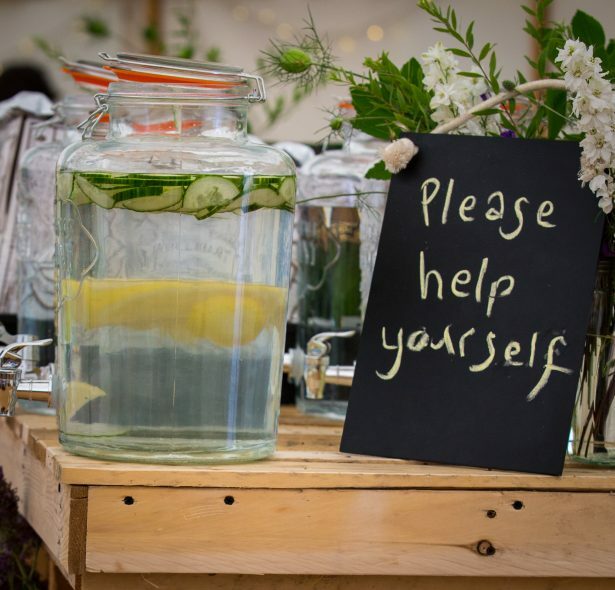 Claire and I had very changeable plans and they were both able to adapt and even went beyond their advertised role as caterers but were an invaluable source of wedding wisdom. 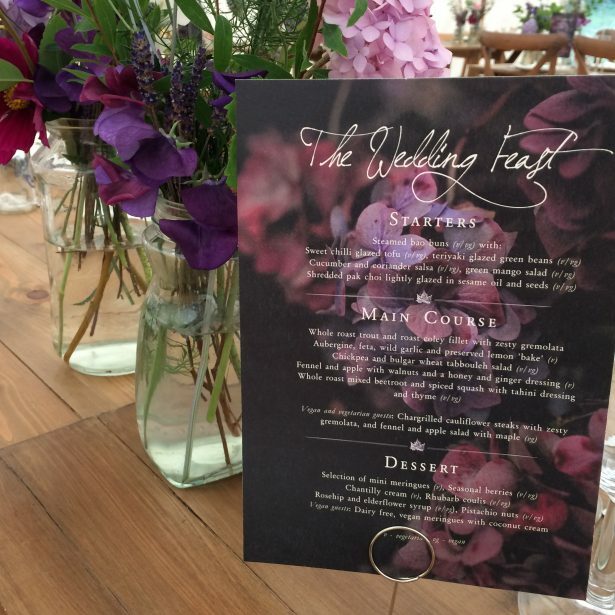 We were treated as two people planning a big party, with ideas of our own that they helped to incorporate into the menu, as opposed to ‘another couple needing wedding caterers’. They go further than just the food, drink and service, and even helped us with some of the other organisation too. They were super friendly, and even joined in with the party after their work was done. We booked Aperyer as soon as we met them before we found a venue! Email and phone communication was prompt and they were organised, and we didn’t have to keep repeating things, and nothing got mixed up. In the final run-up to the big day, they helped us to get everything get set up, paying attention to the little details, and laid the groundwork for a smoothly run wedding day. They and their staff got excellent reviews by our guests, thanks to their service with a smile, from welcoming guests in with summer refreshments and canapes, popping celebration corks, to the evening platter being laid out. Matt and Gemma even joined us for a dance at the end! Food and drink form a key part of celebration for us. 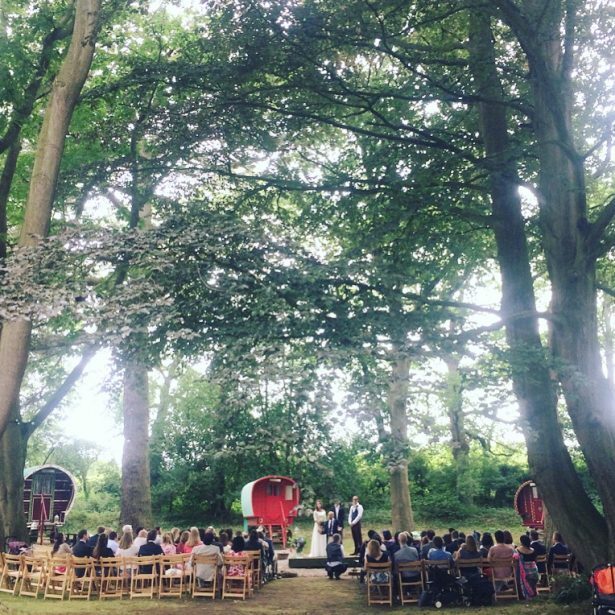 Thinking back to weddings that we’ve been guests at, it’s often the memory of the food and drink that linger the strongest. The food was very thoughtfully sourced and prepared. For us both, it’s so important that we know about the food that we eat, and we wanted to extend that to our guests too. This was thankfully also the same for Matt and Gemma. 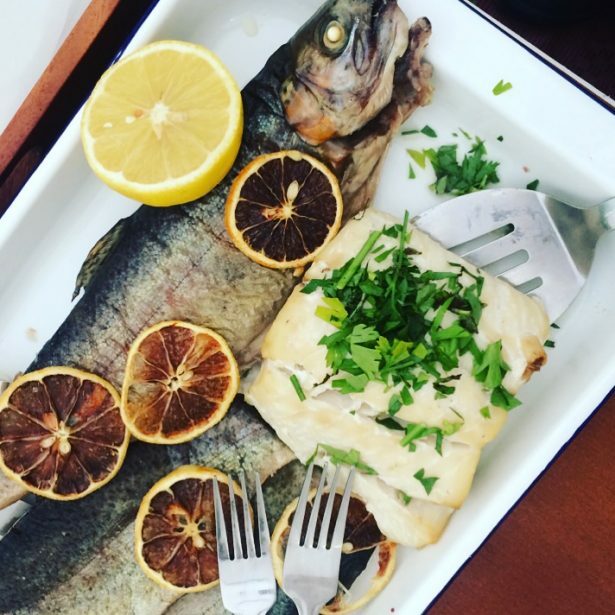 The menu was planned to be seasonal, sustainable, and as local as possible. 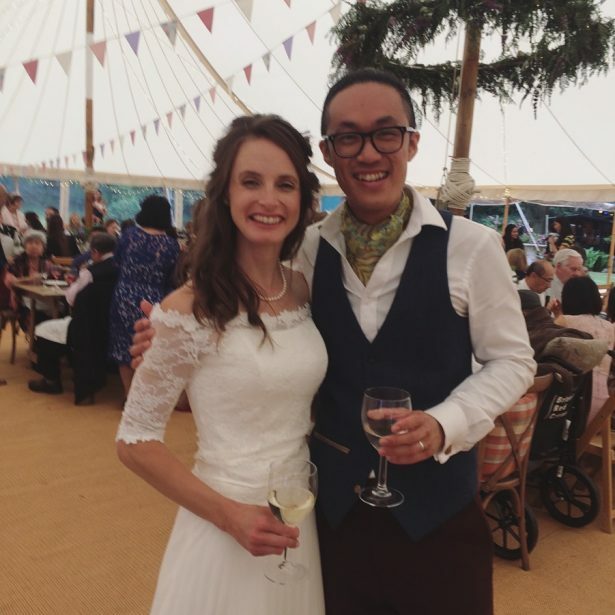 This lovely couple brought so much of their own personality and style to their wedding day with Claire growing ALL the flowers for the big day herself, and James creating enough bottles of homebrewed wine and fizz to keep the whole wedding party watered until the wee hours. 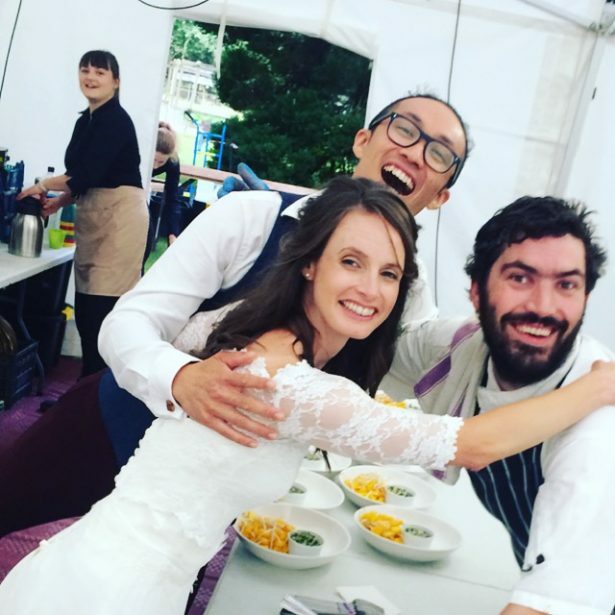 Both pescatarians, the couple wanted a meat free feast along with some nods to James’ Chinese heritage and a focus on seasonal, locally sourced produce – no pressure guys! 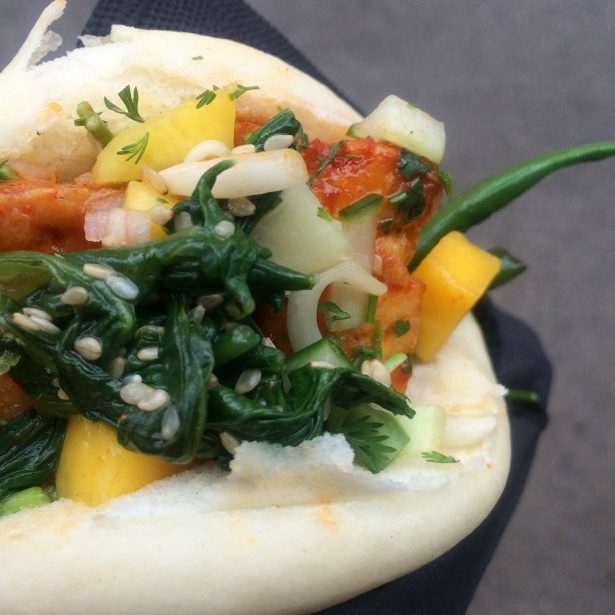 After the couples’ favourite veggie canapes, guests dined on street food inspired bao buns with colourful, flavourful vegan fillings followed by table centre feasting of whole roast rainbow trout, zesty coley fillets and a whole host of colourful, seasonal sides and salads. 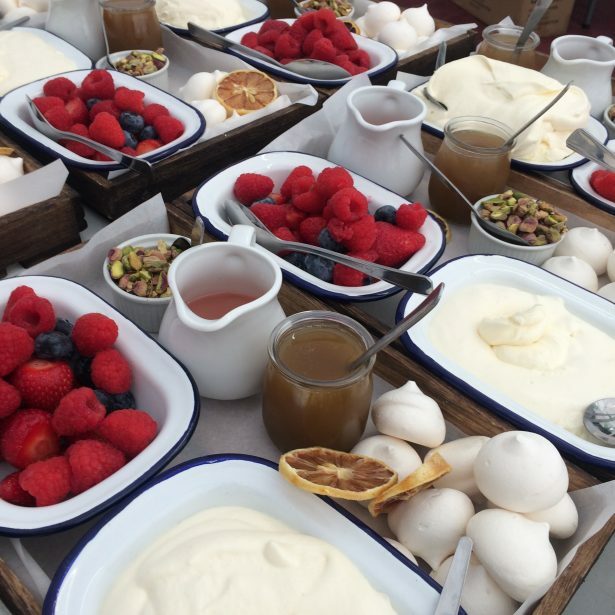 Dessert was a quirky take on a build your own eton mess featuring homemade rhubarb coulis, rosehip syrup (with rosehips from our own garden), nuts and seasonal berries. 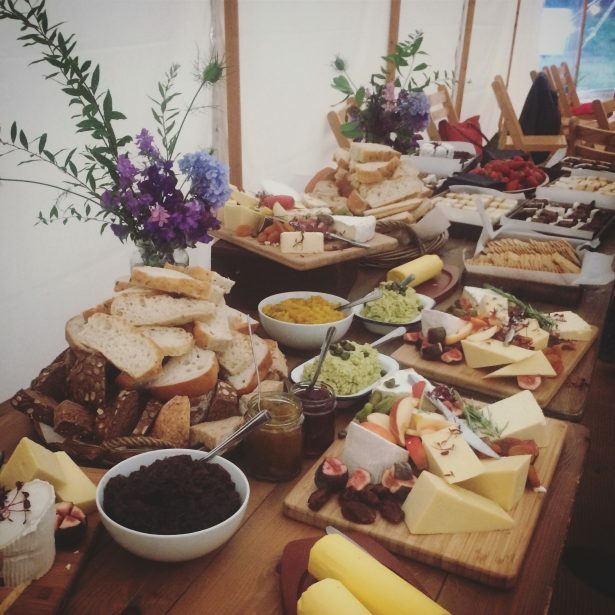 As wedding guests danced the night away to the ceilidh band we served a cheese feast complete with homemade breads, crackers, chutneys and jams.